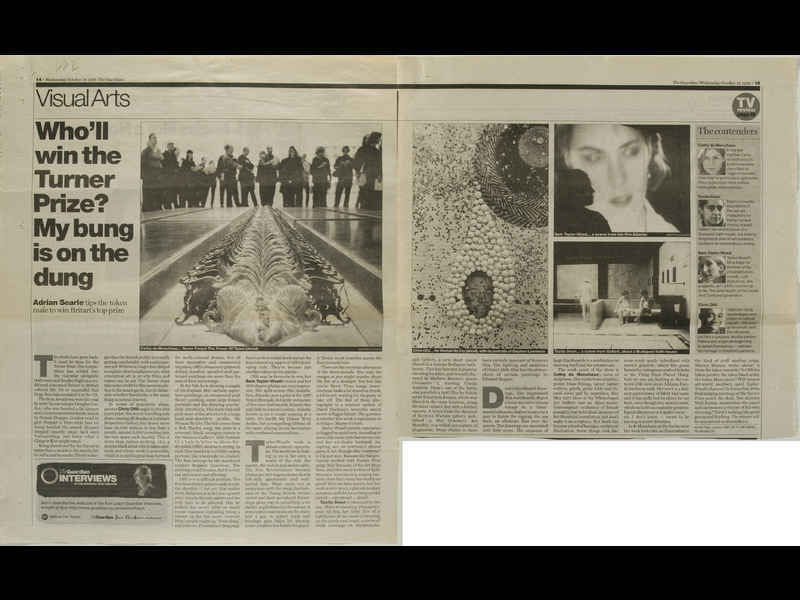 2 sheets original clipping taken from newspaper/monochrome text and image on newsprint/article in relation to the Turner Prize 1998 nominees. Title: Who’ll win the Turner Prize? My bung is on the dung. Adrian Searle tips the token male to win Britart’s top prize.